This remodel aimed at refining the original space of this apartment, which enjoys an excellent location and beautiful views, but needed to take better advantage of potential space. To achieve a cleaner surrounding free of visual obstacles, some doors opening onto the social space were eliminated and the presence of electrical, mechanical and fire protection controls was minimized. At the same time. the apartment’s original industrial nature was reinforced, so as to provide a contrast with select contemporary furnishings. Once the space was refined, the careful selection of materials and finishes began . 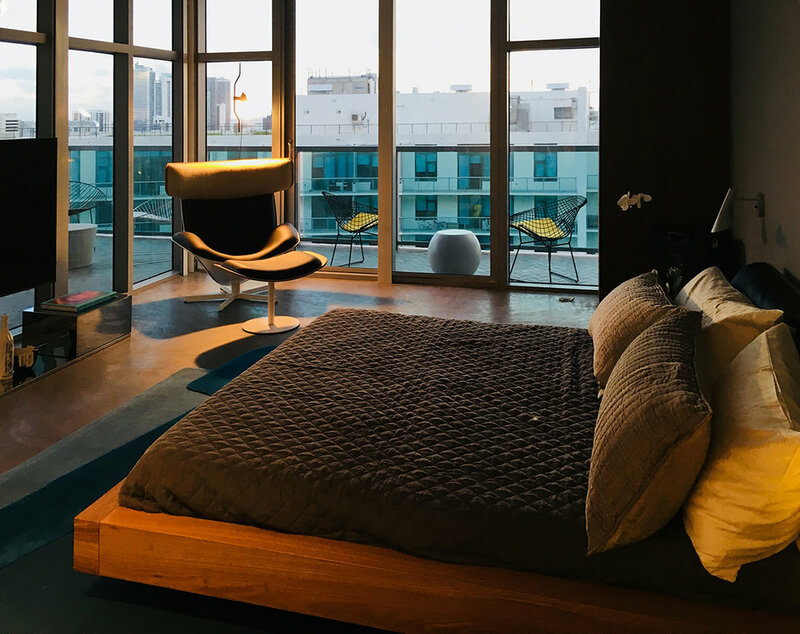 In the living areas and bedrooms, since the apartment had a exposed concrete slab ceilings, it was decided to redo the flooring—originally ceramic tiles---with a cement resin finish, thus achieving the same tone in the apartment’s two large horizontal surfaces: ceiling and floor. The plaster finishes were removed from the columns, exposing to view the original concrete, and a kitchen was designed in a grey graphite tone with wood details to obtain a homogeneous space. To provide a warmer atmosphere, gain storage space and align several walls with the structure, a series of fixed cabinets in walnut was designed. 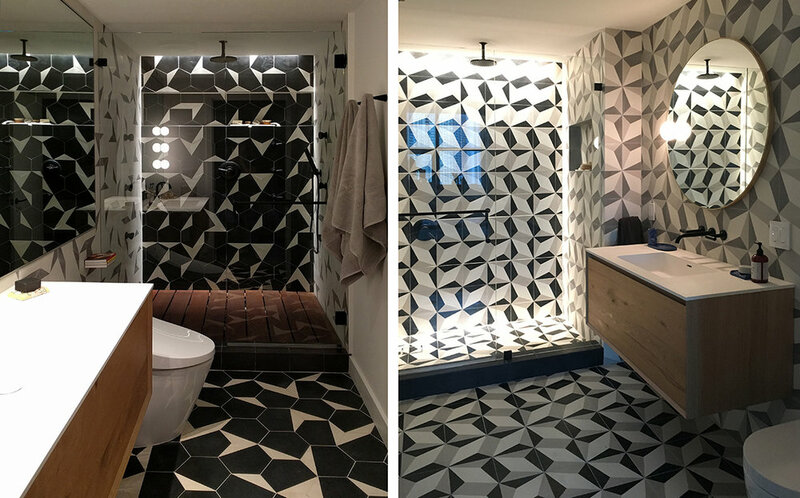 The new geometric composition of the bathroom floors and walls is owed to cement tiles, together with some wood elements, creating an environment that is warm and contemporary at the same time.